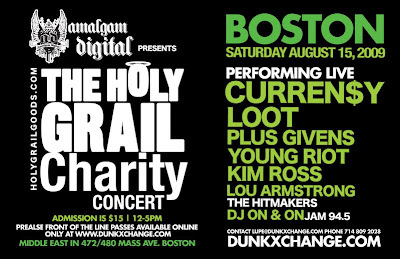 The DXC will be in Boston for its 3rd quarter go around, in conjunction with The Holy Grail Concert Series. A portion of all the funding goes to help The Holy Grail sneaker shop based in LA back off the ground. 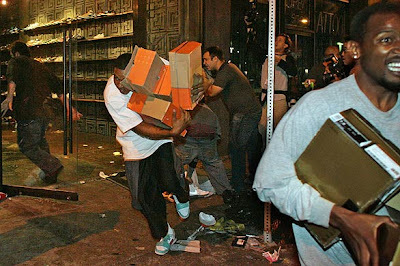 Some of you may remember the break-in and robbery that took place right after the Los Angeles Lakers' victory in the 2009 NBA Championship. 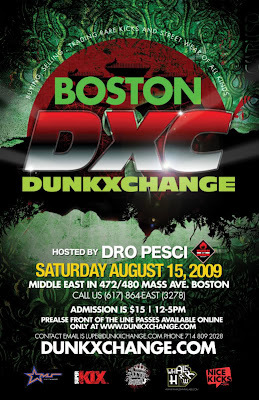 The DunkXchange is tomorrow, Saturday August 15th from 12-5pm at Middle East Night Club (472/480 Mass Ave, Boston M. Pre-sale tickets can be found here and booth space can be found here. If your in the area for the weekend, this is something you want to check out.